Well, you've gated the stairs, locked away the cleaning supplies and covered the oven knobs, so I bet you think you're done with baby-proofing your house, right? Guess again, Mama. Once your baby starts moving around, they'll get into places and things you never even considered to be within the danger zone. In fact, pretty much your entire house is fair game to a baby that’s found their legs, and there’s probably something that’s less than safe lurking around each and every corner. 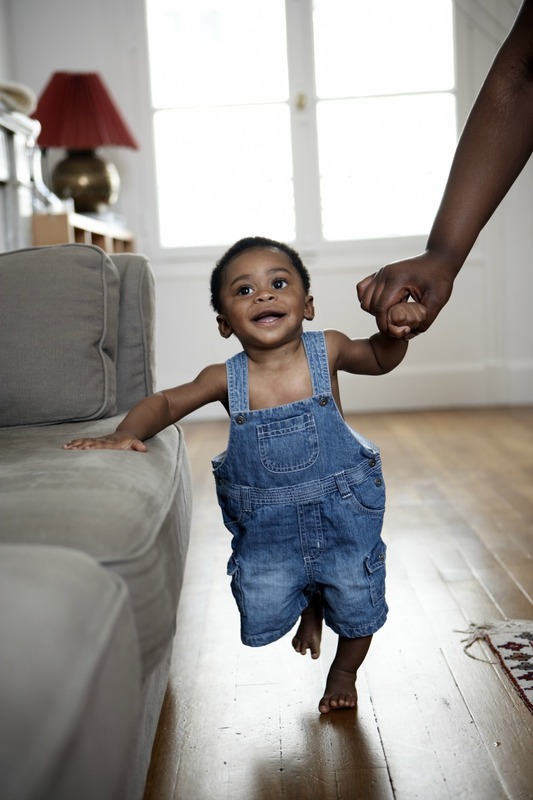 It’s time to get down to your baby’s level and look for some of the less obvious (but still just as dangerous) things you might have missed on the first pass. Remember, they might have been (almost) born yesterday, but babies are pretty smart — and super-sneaky. 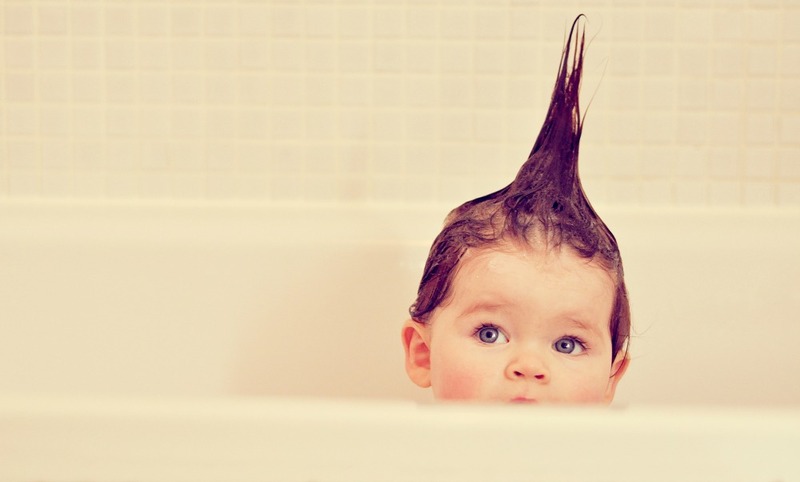 Here are some of the places you probably forgot to baby-proof that are totally essential. You're not an amateur. You know to watch the water temp and level, and you'd never leave your baby unattended at bath time. But have you thought about a bath mat? Bathtubs are slippery, especially when they're filled with water, and a baby that's recently found his legs doesn't like to sit still for long. Place a nonslip bath mat in the bottom of the tub to let your little one stand tall without face-planting in the water. As if new parents don't have enough to worry about, now you have to baby-proof the air too? Yes, you do. 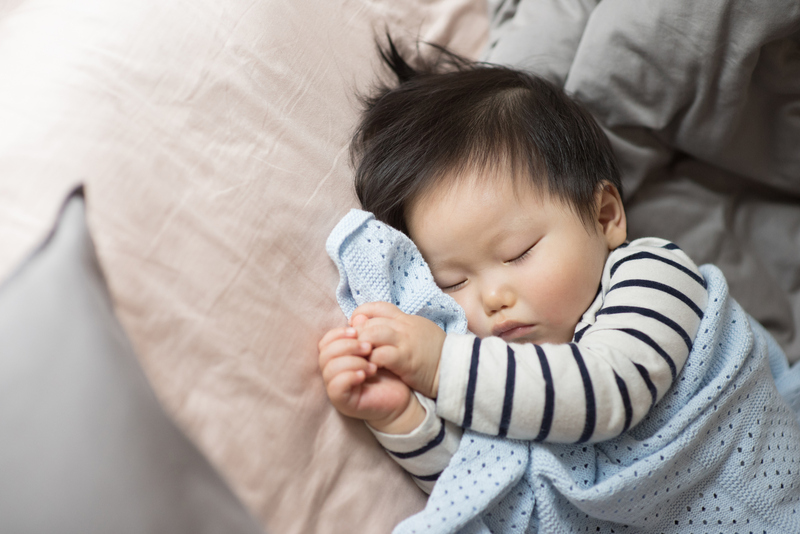 With indoor air being up to 5 times more polluted than the air outdoors, you want to make sure your baby is breathing the cleanest air possible. 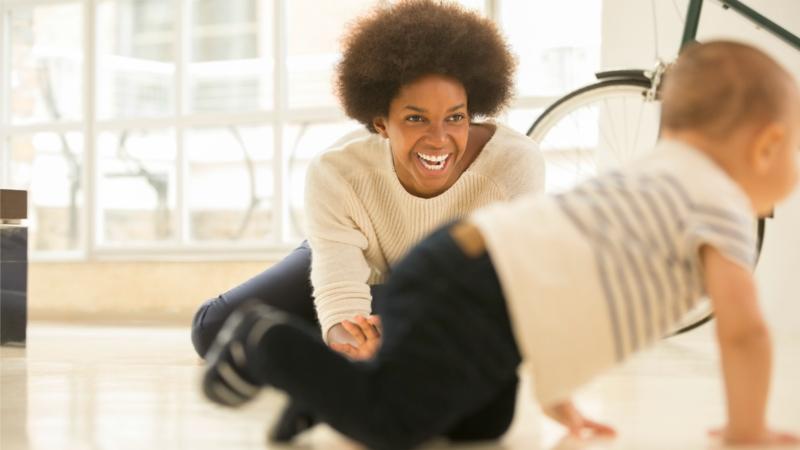 Installing a Canopy air filter ensures the whole family is breathing easier with air that’s allergen-free and pollutant-free, making for a happier, healthier, more comfortable home. All those throw rugs sure are pretty, but if they're not secure, they're not safe for unstable feet. 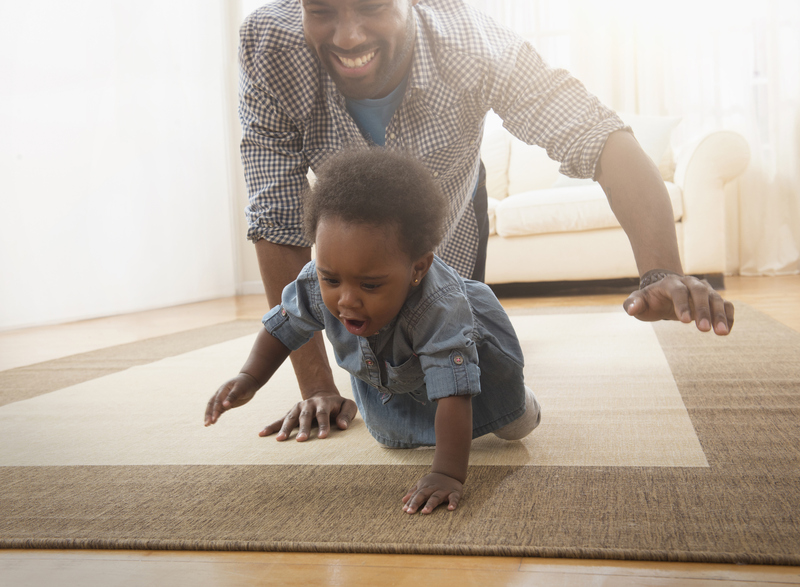 If your rugs don't have rubber backing, use a nonslip rug pad between the floor and the rug to keep them in place when your little one is running across them. They'll have a soft place to sit (and land), and your room will still look gorgeous. You might see that giant flat-screen as your key to Netflix and chill, but your little one sees bright colors and flashing pictures and something that must be touched… now. 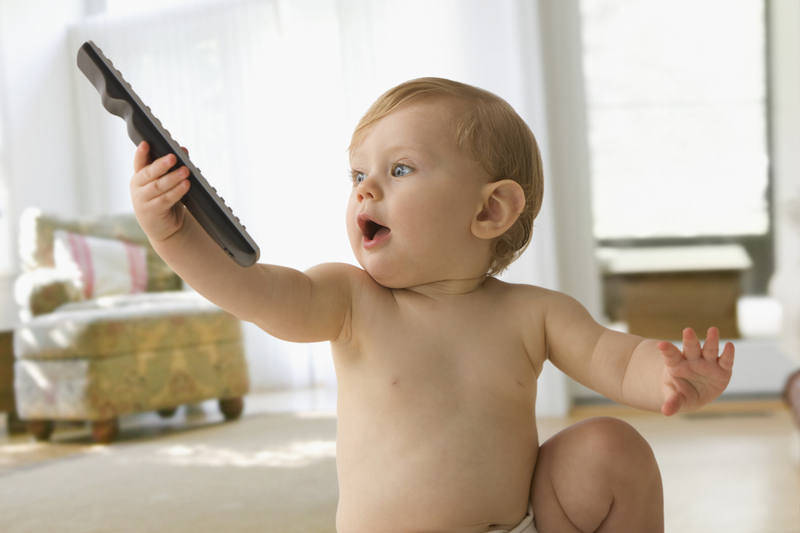 Reaching for that big, heavy screen puts the TV at risk of falling and your baby at major risk. The best way to keep your child safe from a falling TV is to mount it to the wall, but if that's just not doable, at least use a sturdy strap to attach it to the wall or the TV stand. And while you're at it, make sure any doors or drawers on your entertainment stand are also secured — at least if they contain items that aren't fit for babes. I don't care how clean your house is. Chances are, your garbage cans are gross. And anything gross is a magnet for tiny fingers, so it's time to make those baby-safe right now. If you don't, anything that's in there might just end up in your baby's mouth — seriously. There are several ways to go about baby-proofing your trash can. Either buy a can they can't open or use lid locks to keep it closed tight. 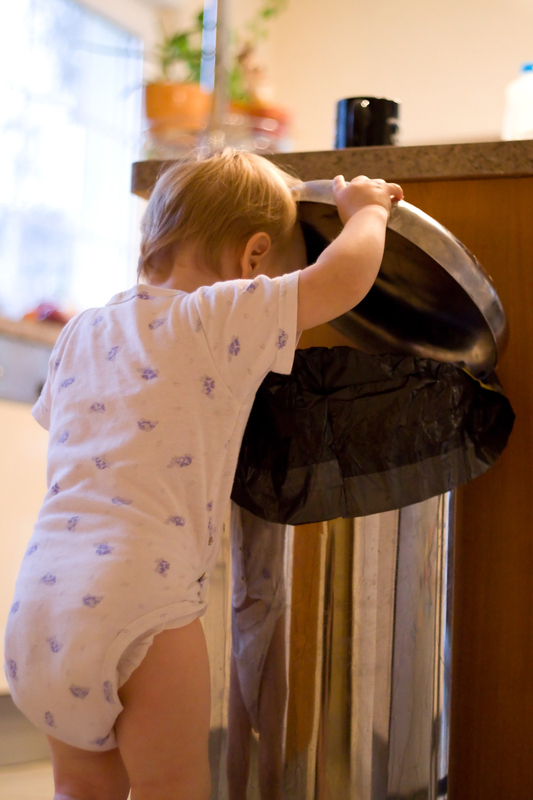 For smaller trash cans in bathrooms or offices, you might just have to keep them up high or in closets until your tot loses interest. It's not convenient, but it's a must. Every new parent is warned repeatedly about the dangers of blinds and their cords, but curtains aren't always a safe alternative. 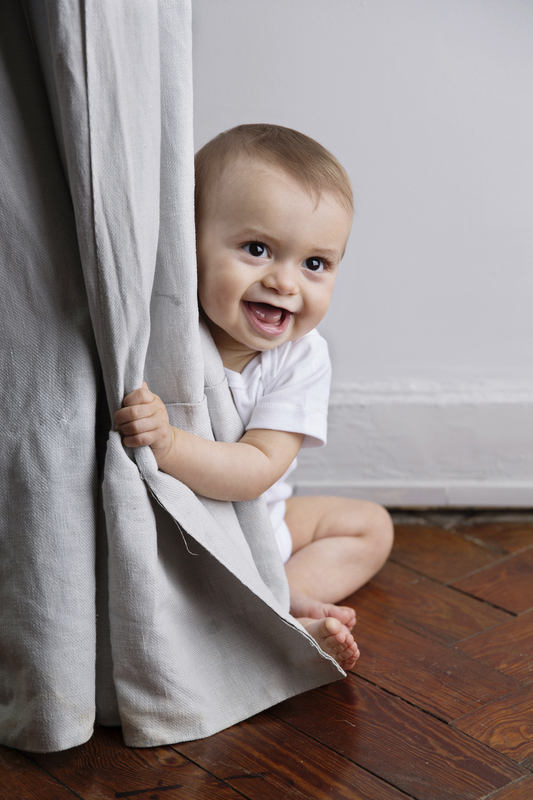 Make sure the curtain rods are properly installed so they can't easily be pulled down, and don't use curtains that are overly long or close enough to your baby's crib to be pulled in. 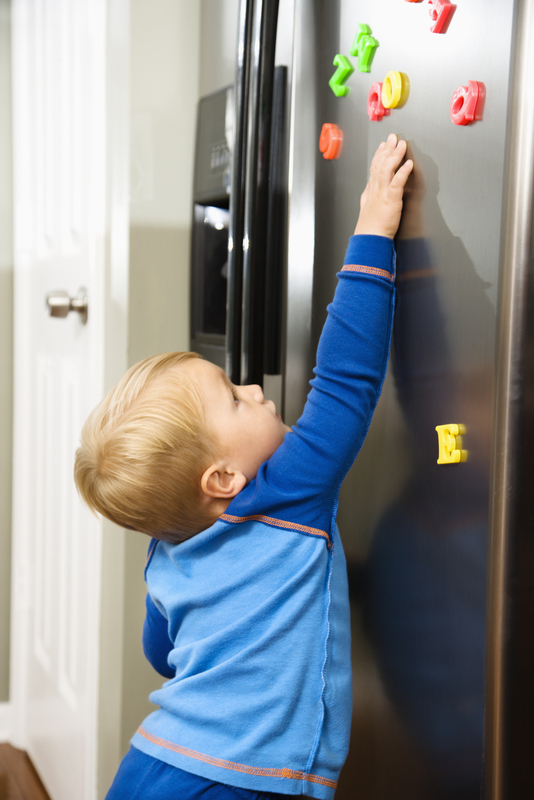 You've been growing that magnet collection on your fridge for years, but it's time to pack it up — or at least move them all up higher. The smaller magnets are easy for a baby to fit in her mouth, and they're usually bright and attractive to tiny eyes and easy for tiny fingers to grip. When was the last time you looked under your couch? And what did you find there? If your house is anything like most houses, you probably found lots of tiny little odds and ends — all perfectly sized for toddler hands (and mouths). It's easy for you to forget about the clutter under there, but it's practically at your baby's eye level when they're hanging out on the floor. Use your vacuum hose to make sure that area gets cleaned out often. Anything that's up can always come down, so choose carefully when hanging items around your home — especially in the nursery. Choose lighter items when possible, and if you must hang something heavy, make sure it's securely installed. And no matter what, don't hang anything above your baby's crib.